Barkwell, Lawrence. 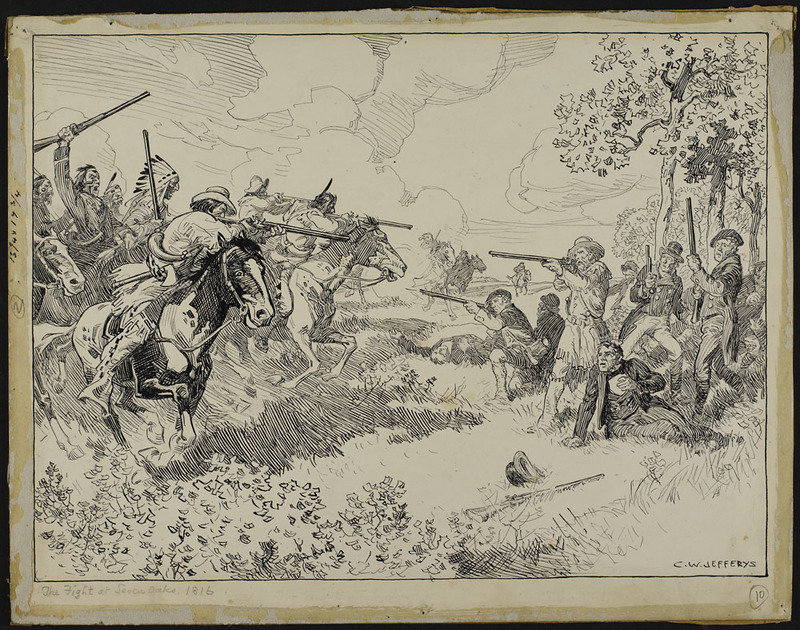 "Battle of Seven Oaks". The Canadian Encyclopedia, 09 October 2018, Historica Canada. https://www.thecanadianencyclopedia.ca/en/article/seven-oaks-incident. Accessed 22 April 2019. The Battle of Seven Oaks, or the Victory of the Frog Plain (la Victoire de la Grenouillère), took place 19 June 1816. The battle was a culmination of the Pemmican Wars and the escalating fur trade disputes between the Hudson’s Bay Company (HBC) and the North West Company (NWC). Pemmican was the food supply that the fur traders depended on to carry out operations. On the day of the battle, a party of about 60 Métis and First Nations men, led by Cuthbert Grant, was heading west of the Forks to deliver pemmican to the NWC canoe brigades on Lake Winnipeg. They were confronted at Seven Oaks by HBC Governor Robert Semple and 28 men (mostly HBC officers and employees). The gunfire and hand-to-hand combat that resulted left Semple and 20 of the HBC party dead. On the Métis side, 16-year-old Joseph Letendre died, and Joseph Trottier was wounded. A watercolour depiction of the Battle of Seven Oaks, 19 June 1816, by C.W. Jefferys. The Forks of the Red and Assiniboine rivers had been a rendezvous location for the fur trade for many years before the North West Company arrived there to build Fort Gibraltar in 1809. The Hudson’s Bay Company had earlier established a small depot across the river, at what is now St. Boniface. The Assiniboine (Nakoda) people had previously controlled access to the confluence of the Red and Assiniboine rivers. 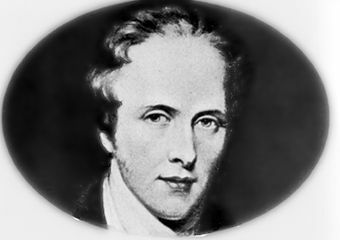 The Earl of Selkirk's motives in founding colonies in PEI, Upper Canada and Red River were a complex mixture of humanitarianism and personal ambition. By 1812, the Forks were also home to Ojibwe newcomers, Cree traders and Métis buffalo hunters (seeBuffalo Hunt). No one consulted them about the Earl of Selkirk’s plan to bring Scottish settlers to the Forks and to establish the Red River Colony. The NWC objected to the Red River Colony’s position at the juncture of its critical provisioning routes. Most of these settlers were considered “servants” of the HBC and, at the end of three years, were to receive 100 acres of land. In 1812, Selkirk’s men began building Fort Douglas on the west side of the Red River, downstream from the NWC’s Fort Gibraltar. North of this were the river-lot farms of the Selkirk settlers. Selkirk’s scheme was poorly planned, and the settlers went hungry in 1812 and 1813. They had to move south to winter at the junction of the Pembina and Red rivers, where buffalo were plentiful and the climate more moderate. They had few provisions and relied on the meat provided by the Métis and the NWC and corn purchased from the Peguis Ojibwe Band. On 8 January1814, Miles Macdonell, governor of the Red River Colony, issued the Pemmican Proclamation,which prohibited the export of pemmican and other provisions from the colony for one year. Macdonell claimed that the proclamation was meant to ensure that there were enough supplies for the Hudson’s Bay colony (Red River). However, the North West Company and the Métis, who supplied the NWC with pemmican,saw the proclamation as a ploy to control the foodstuff, which was essential nourishment for NWC voyageur boat brigades travelling outside the territory. In 1815–16, pemmican was in short supply due to environmental conditions, and the arrival of the Selkirk settlers made the shortage worse. In 1816 Grant led the Métis to victory at Seven Oaks, an unplanned clash of Métis and Selkirk settlers. On 7 June 1815, Métis leader and NWC clerk Cuthbert Grant (also known by the Plains Cree name Wappeston) established a Métis camp four miles down the Red River from the HBC’s headquarters at Point Douglas. Grant established the camp to cover the departure of disaffected colonists (about 42 men) travelling for Canada in NWC canoes. Grant’s men began to harass settlers by stealing horses and ploughs. According to several accounts, the Métis and remaining settlers also shot at one another. In such an encounter at HBC’s Fort Douglas on 10 June, one of Governor Macdonell’s men was killed when a cannon exploded. Three others were wounded. Wappeston is the Plains Cree term for white ermine. The name was given to Métis fur trader Cuthbert Grant, who was a military leader of the Nehiyaw Pwat (or Iron Confederacy), an alliance between the Assiniboine (Nakoda and Stoney), Plains Cree, Plains Ojibwe (includes Saulteaux) and Métis. Members of Nehiyaw Pwat stood with Cuthbert Grant during the Battle of Seven Oaks. Many of Selkirk’s people went over to the Métis side. The Irish hired to prepare the way for the settlement had contracts that had expired on 1 June 1815. These men, along with many from the Kildonan party of Selkirk settlers, went over to the Métis side and took the NWC offer of transportation to Montreal. The Métis escalated their demands that the settlers leave the Forks, under order from Grant, William Shaw, Robert Bonhomme Montour and Peter Bostonais Pangman, the four chiefs of the Métis. Peter Fidler negotiated with the Métis chiefs at their camp at La Grenouillère (Frog Plain). On 20 June 1815, Pangman instructed Fidler that no colonists were to remain, but that a limited number of HBC servants might stay, as it was to the advantage of the Métis to have competing trading companies in the area. In March 1816, the HBC seized and then destroyed the NWC’s Fort Gibraltar at the Forks of the Assiniboine and Red rivers. The fort had been built in 1810 by Cuthbert Grant’s brother-in-law John Wills. The goal of this maneuver was to prevent the NWC from trans-shipping pemmican from the Forks to their brigades coming in from Fort William on Lake Superior. On 19 June 1816, a party of Métis freighters led by Grant was heading west of the Forks to deliver pemmican to the Nor’Wester canoe brigades on Lake Winnipeg. On 19 June 1816, Grant led a party of about 60 mounted Métis and First Nations men past an HBC gunboat blockade on the Assiniboine River and the Red River. Grant was leading two groups of men well to the west of Fort Douglas and heading for La Grenouillèreto deliver their pemmican supplies to NWC partners. They were trying to avoid the heart of the Red River Colony. The employees of the HBC spotted Grant’s second group at about 5:00 p.m., and HBC Governor Robert Semple and 28 men (mostly HBC officers and employees) went out on foot to confront them. Both groups were expecting trouble, but neither was looking for a firefight. Semple caught up with the Métis at Seven Oaks and he challenged them. Tempers flared, angry words were exchanged between François Boucher and Semple, and a shot was fired by one of Semple’s men. A pen and ink depiction of the Battle of Seven Oaks, 19 June 1816, by C.W. Jefferys. The gunfire and hand-to-hand combat that resulted left Semple and 20 of the HBC party dead. On the Métis side, 16-year-old Joseph Letendre died, and Joseph Trottier was wounded. 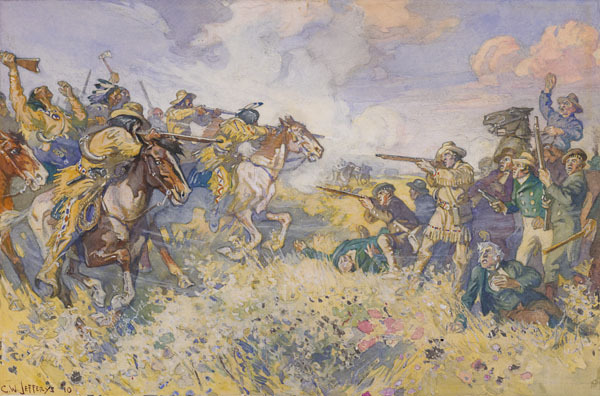 Grant later explained that the Métis were successful in defeating Semple because “After the first round [of fire], the [Métis] in general threw themselves on their backs whilst loading, whereupon the colonists, conceiving that many were killed, took off their hats and huzzaed.” Semple’s men were then taken by surprise when the Métis, having reloaded, rose from the grass and resumed firing. The fact that they threw themselves down to reload is mentioned in several other depositions as the reason why many fewer of their men were killed. After the battle, Grant seized Fort Douglas, and the Selkirk settlers and HBC staff left for Norway House. The British government called for a special inquiry, and Lieutenant Colonel William Bachelor Coltman was appointed as principle commissioner to conduct the inquiry. In May 1817, Coltman travelled from Montreal to Red River to conduct his investigation. His report was delivered to the British House of Commons on 24 June 1819. Coltman concluded that the first shot was fired at François Boucher from Semple’s side. This shot passed so close as to stun him and cause him to fall off his horse. A second shot was fired at an Indigenous man in Grant’s party. After this point, both sides liberally shot at one another. After three discharges, the colonists began to give way. The battle then continued between individuals. The fighting did not last longer than 15 minutes. Grant was charged for his part in the confrontation at Seven Oaks, but the charges were dismissed. Coltman later indicated that the conduct of Grant’s party only seemed, to him, to underline the dangerous policy that the NWC had been pursuing in using the Métis for its own ends. On 12 August 1816, Selkirk and a force of 90 soldiers who had been discharged from the De Meuron and De Watteville regiments arrived from eastern Canada and captured the Nor’Westers’ headquarters and supply base at Fort William. They accused the Nor’Westers of murder and arrested their officers. Lawsuits and countersuits followed. The NWC men were tried at York, Upper Canada, in 1818 and were acquitted. The NWC operations were severely impaired by Selkirk’s actions and in 1821, five years after the battle, the two competing companies merged. The Battle of Seven Oaks was one of the first times the Métis asserted themselves as “the New Nation” with rights to trade as they wished and travel freely on their own land. The battle inflamed what was already a “propaganda war” in which each side published memorial after memorial to get their case before the public and to influence the actions of the politicians of the day. The merging of the HBC and NWC led to the closing of half of the fur trade posts in the Old Northwest and a collateral loss of jobs for the Métis and other Indigenous people (seeTrading Post). 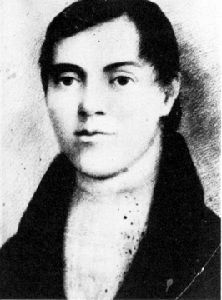 In 1816, Métis poet and balladeer Pierre Falcon wrote “La Chanson de la Grenouillère” about the battle. In 1891, an obelisk was erected by the Manitoba Historical Society near the centre of the battleground. The site of the battle and monument was recognized as a National Historic Site of Canada in 1920 (seeHistoric Site). In consultation with the Métis, new interpretive plaques were installed by Parks Canada and Seven Oaks Park was re-landscaped. On 19 June 2016, the site was officially reopened to mark the 200th anniversary of the battle.